I am unreasonably excited about this and have been for months. As of last Sunday, I am the most hipster ever. This has been a project that’s a long time coming. 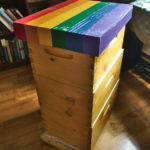 I’m sure that my colleagues are tired of hearing me talking about it: A few weeks back we bought an apiary, assembled it, painted the top like a Pride flag, and then on the 29th, we went to pick up our bees! On the night that they arrived, it rained fairly intensely, and hearing this, Alain and I ran to the back porch to check on them, like worried parents. This brings me one step closer to my dream of being the undisputed king of the hipsters by walking up and down the Plateau wearing an ironic beard of bees. This is a lot of bees. 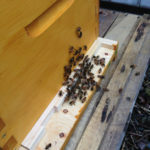 They came on 5 wooden “frames” with a sort of waxy backing that’s reinforced with wire, on which the bees make their honeycomb and fill it with wax or pollen or eggs. We do have a friend who knows what he’s doing, and with his help, we transferred the 5 frames into a much bigger 8-frame box. To do so, we had to pick up each frame by hand and slowly transfer it over. You’d think that the bees would start getting stabby at that point, but they really didn’t care. At all. Honeybees are super-chill. 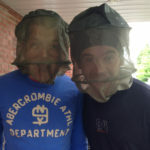 I had probably a couple dozen bees going over my bare hands while moving them over to their new home, and none of us got stung. Alain moved the frame that had the queen on it. Our neighbour was in the back yard that morning. She almost certainly saw the giant swarm of bees while we were moving them from one box to another. No comment yet. There, of course, is no longer a giant swarm. The picture attached above makes it seem like there’s thousands of bees flying around everywhere, but they were just excited in that picture because they were still moving over from their old box to the new one. Unless you’re actively looking for bees in our back yard, you’d never know that there’s an apiary with 10-80 k bees in it right there. There’s always a few at the entrance, but you can stand even a metre away and bee totally unaware that our little ladies are there, doing their thing. By the way, get used to the “bee” puns. 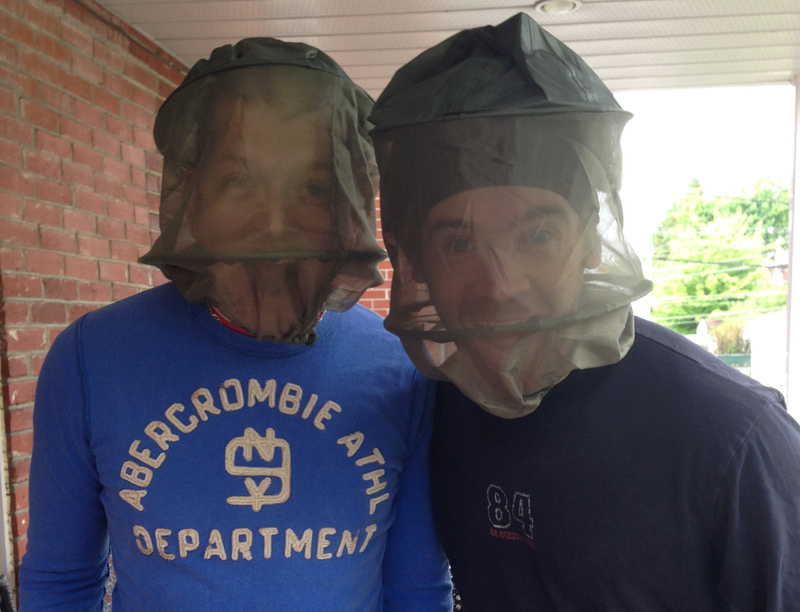 They’re going to bee awful. I will also point them all out and explain the jokes as we go along. Puns are the highest form of humour after all, and jokes are better when you explain them. 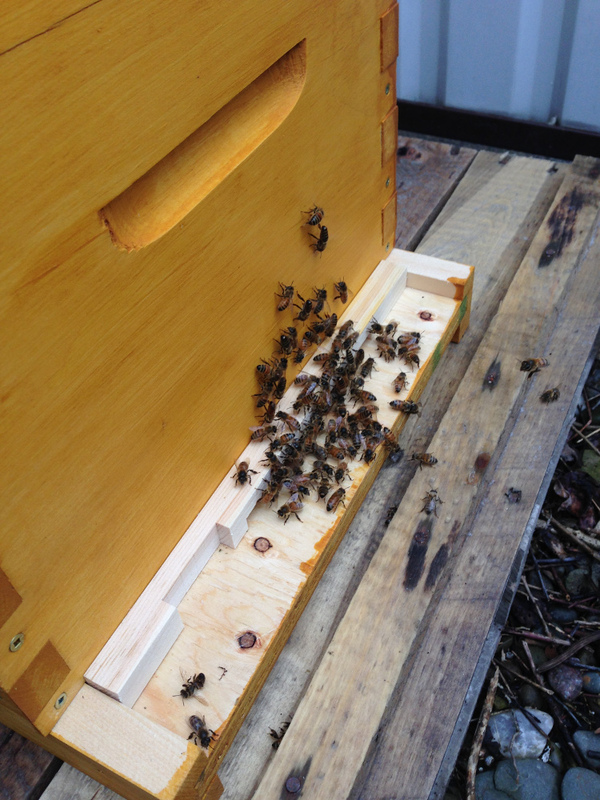 We might have as much as 23 kg of honey from this season, and so we’ve decided to sell it along with the wax. 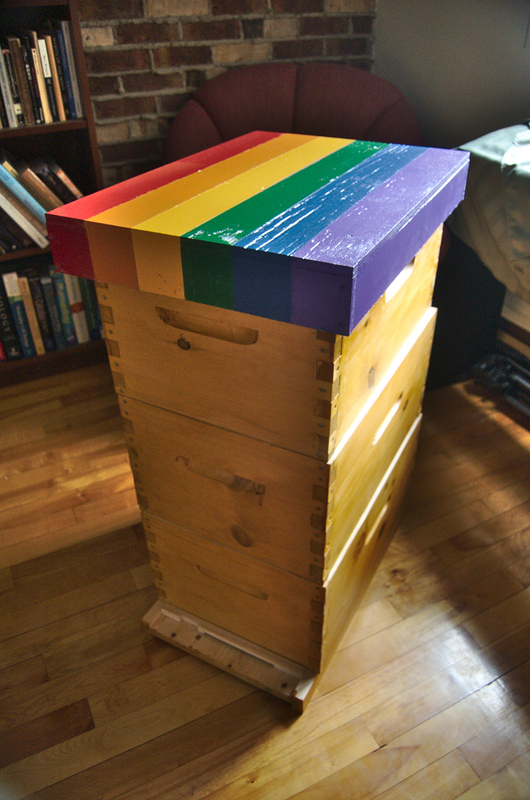 We’re calling our product “Two Queens Honey.” (That one is a gay joke, and also a bee pun!) 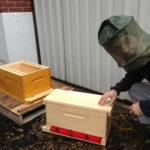 The flavour of honey is determined by the plants that the bees feed on, so I wanted to take up our lawn and put in nothing but hot peppers, just to see if we could get honey with a bit of a … sting. My idea was vetoed. Alas. 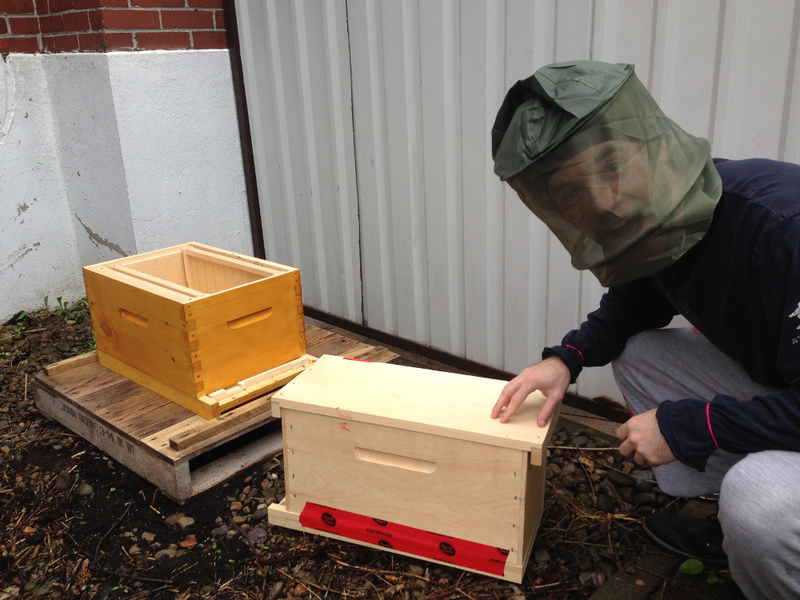 We are planning on taking a beer-brewing course later in the summer, so there may be Two Queens Honeybeers coming. More on this story as it develops.